Harry S. Truman was born on May 8, 1884, in Lamar, Missouri, to John and Martha Truman. His parents gave him the middle name “S” after both his paternal grandfather Anderson Shipp Truman and his maternal grandfather Solomon Young. Although using a letter for a name was not an uncommon practice, his middle name often caused confusion. Truman sometimes joked that since S was his middle name and not an initial, it should not have a period. However, Truman himself used a period when he signed his name. Truman worked on the family farm until 1917. Later, he frequently spoke nostalgically about the years he spent toiling on the farm. His formative years of physically demanding work on the farm and for the railroad gave him a real appreciation for the working classes. It was also during these years that he met Bess Wallace. He even proposed marriage to her in 1911—an offer she declined. Truman had served in the Missouri National Guard from 1905 – 1911. At the onset of World War in 1917, he rejoined the Guard. Much to his delight, he was chosen to be an officer and later a battery commander in an artillery regiment in France. When the Germans attacked his battery in the Vosges Mountains, the men in the battery started to run away from the fight. Truman got their attention by letting loose with a string of obscenities he later said he learned while working on the Santa Fe Railroad. The men, shocked by the outburst from this usually quiet, reserved officer, resumed their positions—not a single man in the battery was lost. The events of World War I greatly transformed Truman and brought to light his great leadership skills. His war record would make his later political career possible. After World War I ended, Truman returned to Missouri as a captain. Truman once said, “In my Sunday School class there was a beautiful little girl with golden curls. I was smitten at once and still am.” Back home, he found the girl with the golden curls and proposed to her a second time. Bess Wallace accepted the second proposal, and they married on June 28, 1919. They had one daughter, Margaret, in 1924. Truman did not go to college until the early 1920s when he studied for two years towards a law degree at Kansas City Law School. He did not complete the degree. He worked as a judge in Jackson County, Missouri, and as Missouri’s director for the re-employment program, which was part of the Civil Works Administration. It was undoubtedly his achievements on the Truman Committee that drew the Democratic Party’s attention to him as a possible vice-presidential candidate for Franklin D. Roosevelt’s fourth term re-election campaign. In 1944, the Roosevelt-Truman ticket easily won the election. Truman was to serve only eighty-two days as vice president. During that time, he had few conversations with Roosevelt. He was left completely in the dark about the war, world affairs, and domestic politics. In addition, there was one very big secret—a very large bombshell—he knew nothing about either, a secret that would play a central role in his political future. The bombshell Truman knew nothing about was literally that—a bombshell. America was about to test the world’s first atomic bomb as part of the top secret Manhattan Project. Shortly after Truman assumed the Presidency, Germany surrendered to the allies. Truman was briefed on the existence of the Manhattan Project. Three months after he took office, the first successful atomic test called the Trinity test took place in the desert near Alamogordo, New Mexico. The atomic bomb was a reality. With Germany no longer a threat, the allies were anxious to end the war. Truman approved the use of atomic weapons against the Japanese in order to force their surrender and to quickly bring about the end of World War II. Truman once said, “Carry the battle to them. Don't let them bring it to you. Put them on the defensive and don't ever apologize for anything.” Harry S. Truman never did apologize for his decision to use the atomic bomb. Although today the decision to drop the atomic bombs on Japan is considered by many to have been morally wrong, it was not a controversial decision at the time. Neither the United States nor any of the Allied countries had any qualms about using any weapon available to end the war. World War II had cost the allies billions of dollars, had wiped out entire cities, and had destroyed families, cultures, and economies. Even after Adolph Hitler committed suicide and Germany surrendered, it would take decades before Europe recovered from the war. The destruction on the Pacific side of the war was also great. World War II had caused destruction and death on the largest scale the world had ever seen with more than 53 million lives, both military and civilian, lost. The two bombs were dropped on Hiroshima and Nagasaki in August, 1945, resulting in the deaths of more than 110,000 people. Japan surrendered. For a short time, the first time in a long time, there was peace on Earth. The weapons of war were silent, and while mankind might never completely recover from the carnage of World War II, the rebuilding began. After his Presidency ended, Truman remained active in politics from the comfort of the Truman Library in Independence, Missouri. There, Harry and Bess Truman received such famous guests as John F. Kennedy (for whom Truman campaigned during the 1960 Presidential election), Dwight Eisenhower, Lyndon B. Johnson, and Chief Justice Earl Warren. Harry S. Truman died at the age of eighty-eight on December 26, 1972. Brother Harry S. Truman was initiated on February 9, 1909, at Belton Lodge No. 450, Belton, Missouri. 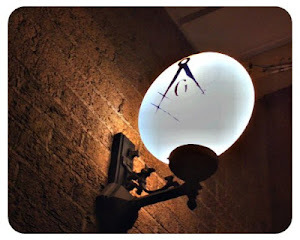 In 1911, several members of the Belton Lodge separated to establish the Grandview Lodge No. 618, Grandview, Missouri. Brother Truman served as its first master. At the Annual Session of the Grand Lodge of Missouri in September, 1940, Brother Truman was elected by a landslide to be the ninety-seventh Grand Master of Masons of Missouri. He served until October 1, 1941. 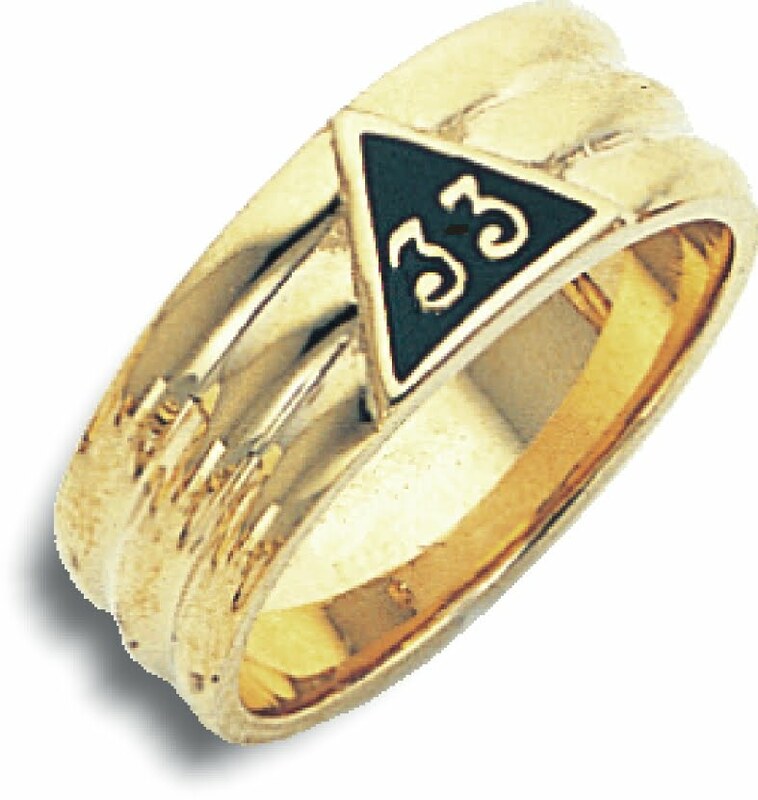 While President, Truman was made a Sovereign Grand Inspector General, 33°, and Honorary Member, Supreme Council in1945 at the Supreme Council of the Ancient and Accepted Scottish Rite Masons Southern Jurisdiction Headquarters in Washington, D.C. He was also elected an Honorary Grand Master of the International Supreme Council, Order of DeMolay. 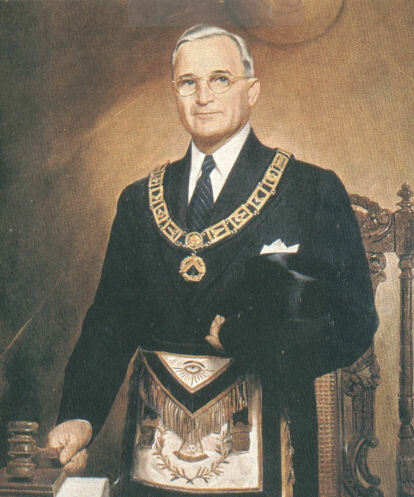 On May 18, 1959, the Illustrious Brother Truman was presented with the fifty-year award—the only U.S. President to reach that golden anniversary in Freemasonry. Selected excerpts from Famous American Freemasons: Volume I by Todd E. Creason, published by Lulu.com (2007), ISBN: 978-1435703452. The Famous American Freemasons series is available at major on-line booksellers.